I'm often asked which app I use to follow online tournaments. 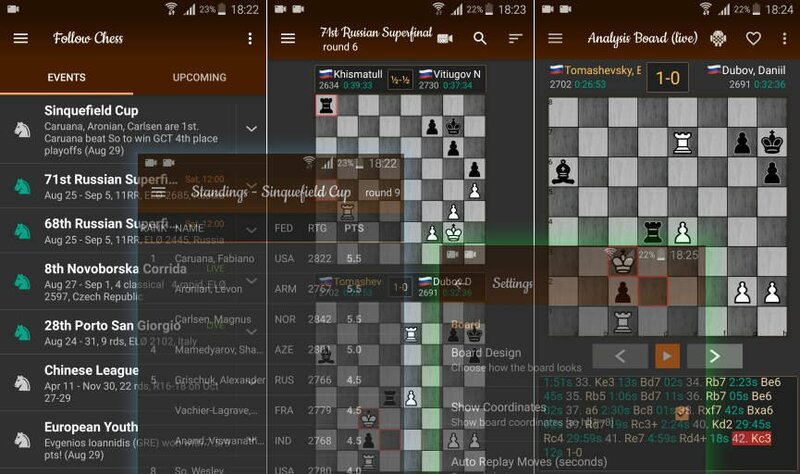 The question does surprise me a little: there is nothing better than "Followchess", a FREE application and available for Android, Iphone (or any other operating system if you access their site directly from a browser: www.followchess.com). Among the great virtues of the program is its ease of use and the speed of transmission of games. 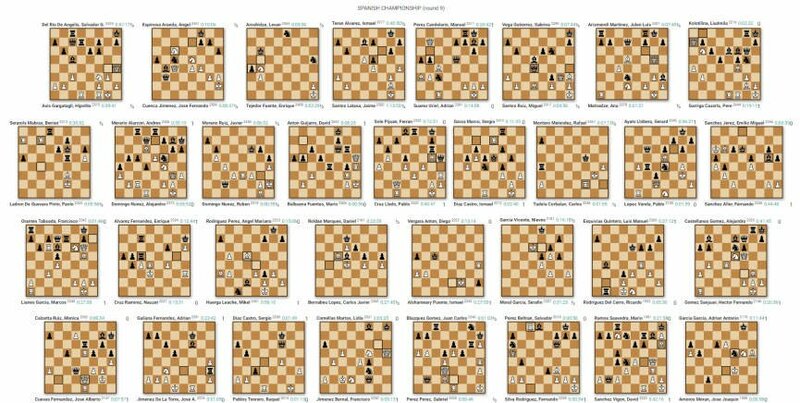 In addition, they cover tournaments which nobody else pays any attention to: Open tournaments from all over the world -sometimes even the ones with an average rating of 1800- or Live World Championships, you name it! You can modify the settings, you can select colors, sounds, etc. and of course you can add analysis engine at any time for live evaluation. There is a "pro" version, for less than 5 euros, which also allows you to download all games in .pgn format and a few other extra features, but the free version works fine. There are other online platforms that relay tournaments with commentary, etc. but the truth is that they are very slow, you only see a couple of games, the comments are usually not particularly useful and you do not choose which games to see, etc. With Followchess, everything much faster. You get to choose which tournaments and which games you wanna follow and the touch of a screen.